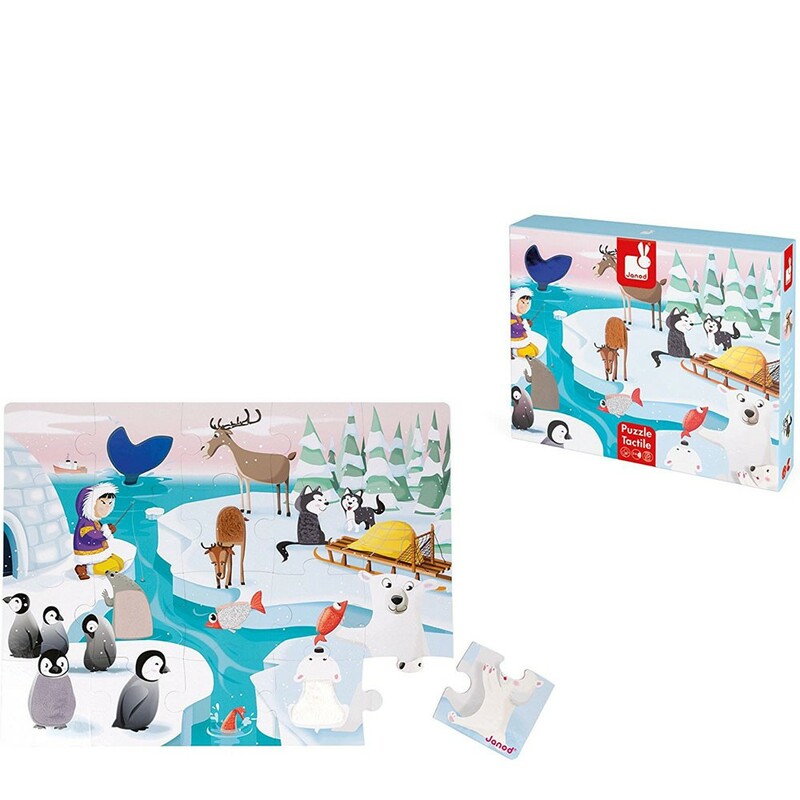 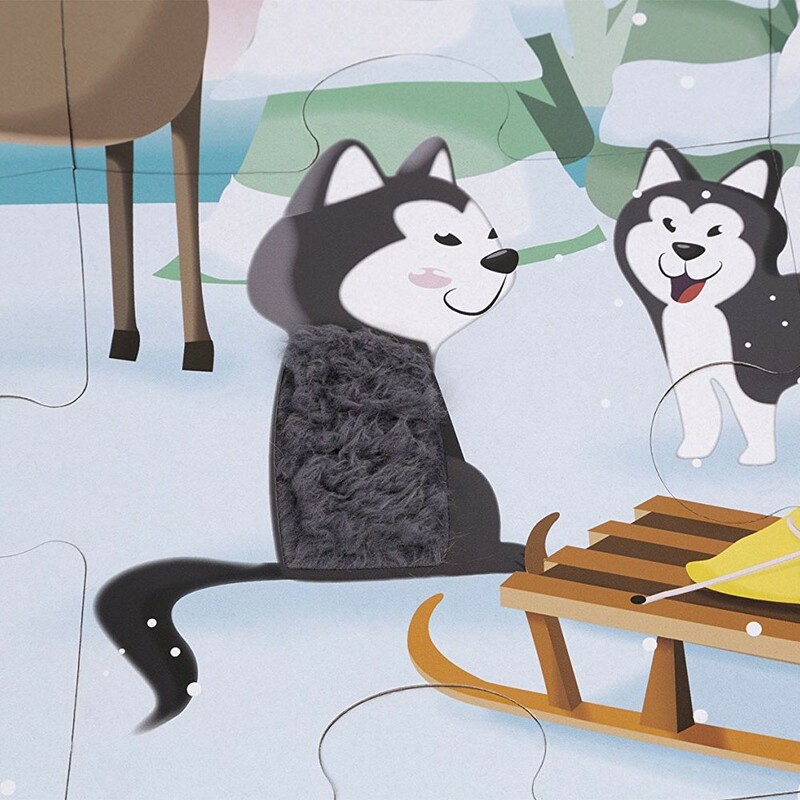 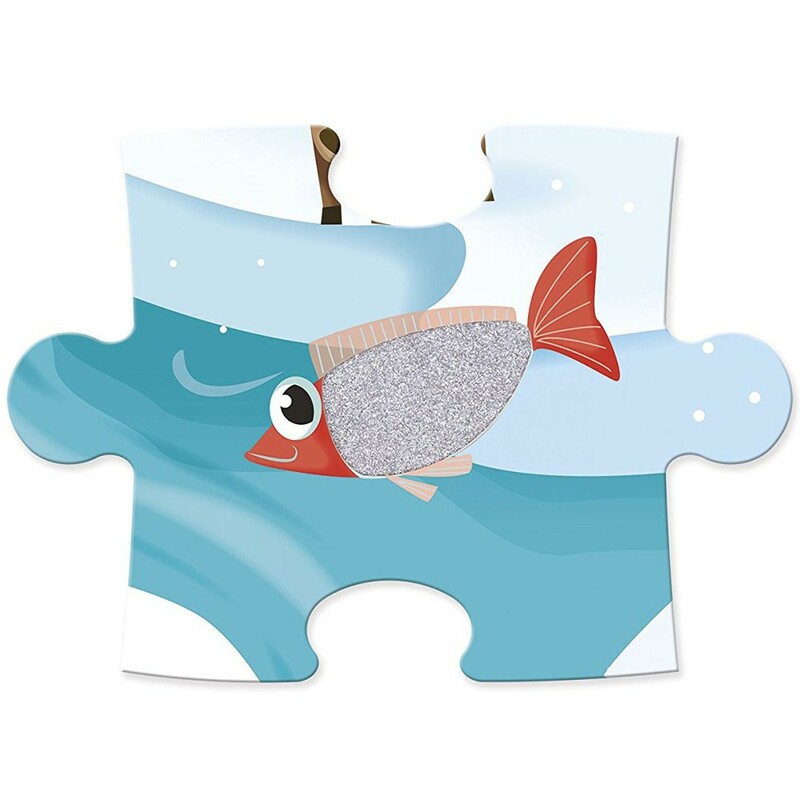 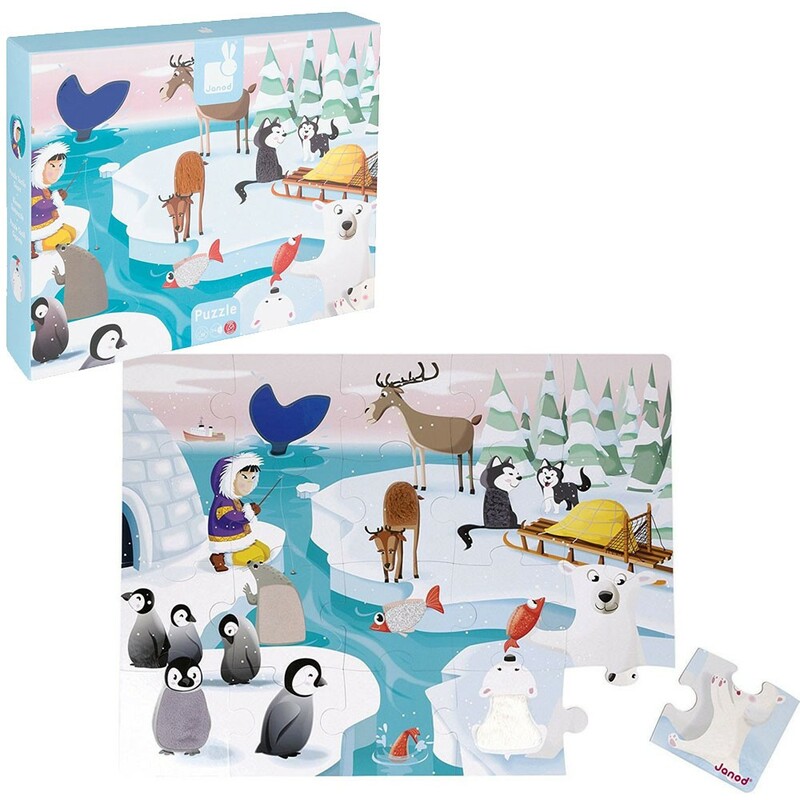 This 20 piece Janod's Life on the Ice puzzle lets you feel the animals texture and assemble the first jigsaw! 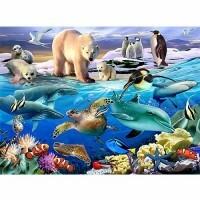 Welcome to the amazing land of ice! 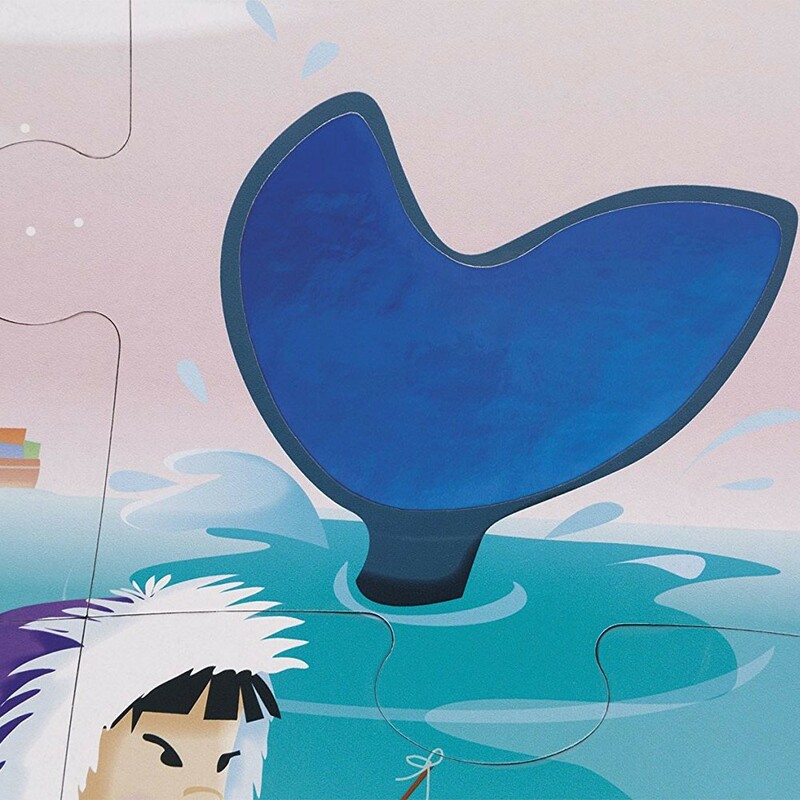 Here you can meet new friends, pet some exotic animals, see how Northern people live, explore the cold and interesting Life on the Ice! 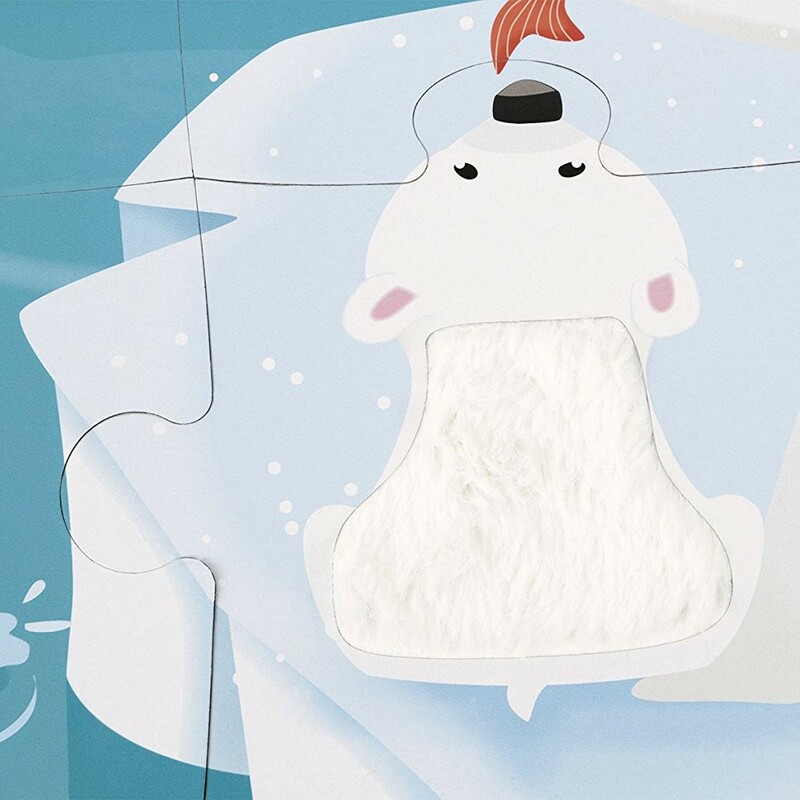 We are sure, cold doesn't bother you anyway! 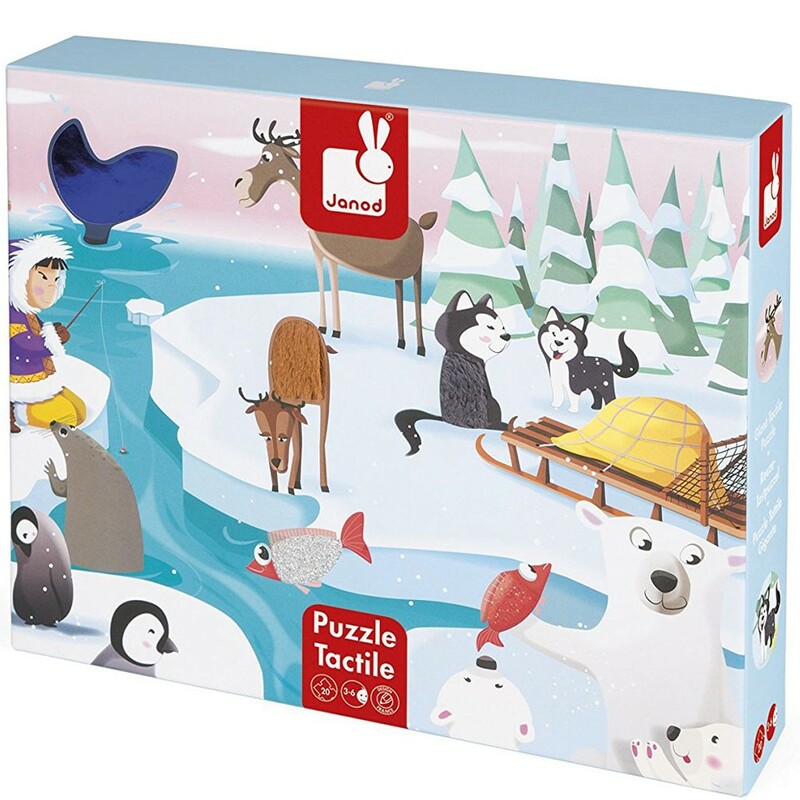 Life on the Ice 20 pc Tactile Puzzle by Janod is a unique combination of jigsaw fun and sensory exploration. 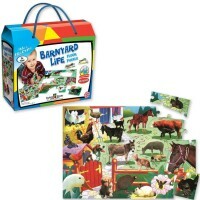 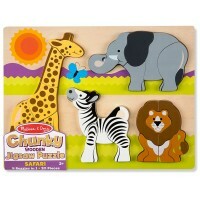 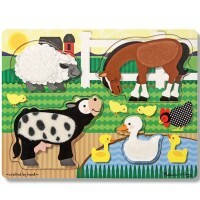 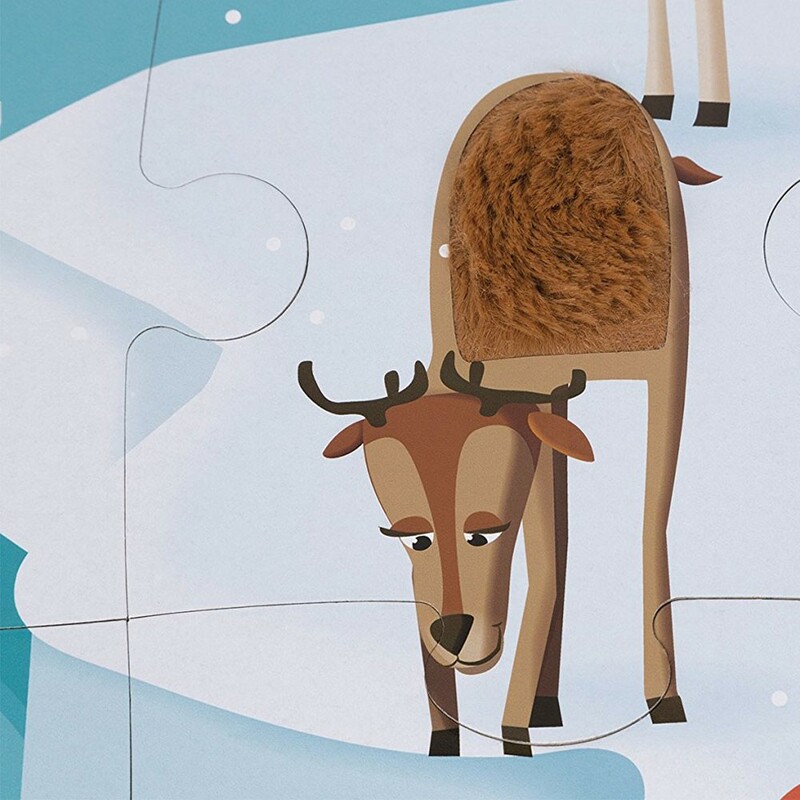 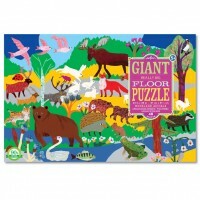 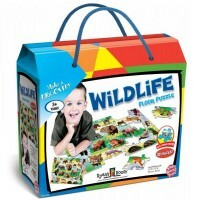 This 20 piece puzzle lets you feel the animals texture and assemble the first jigsaw! 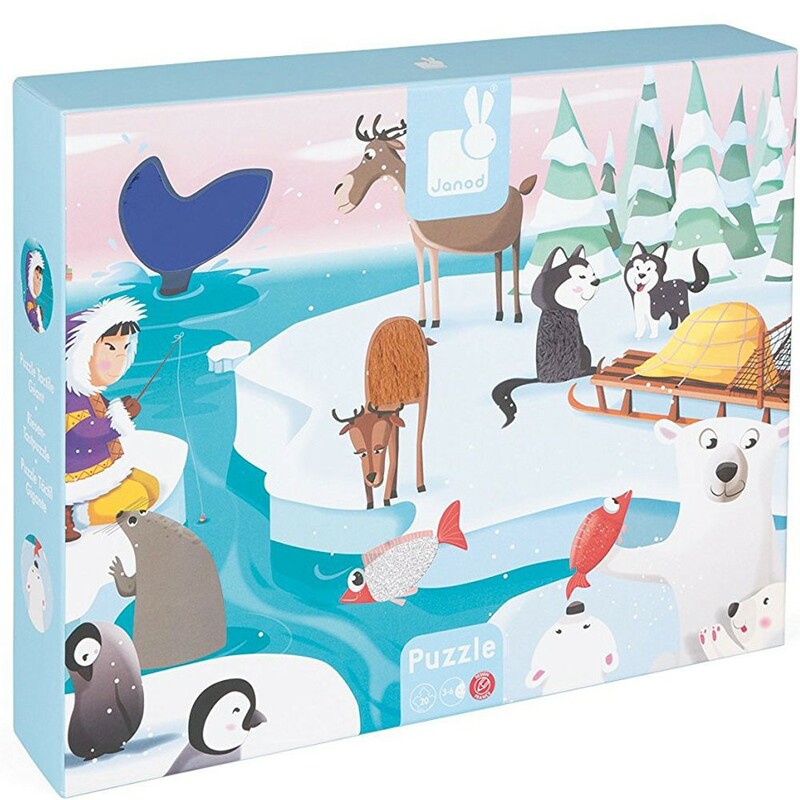 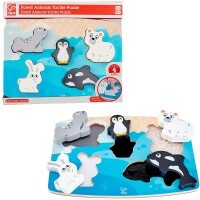 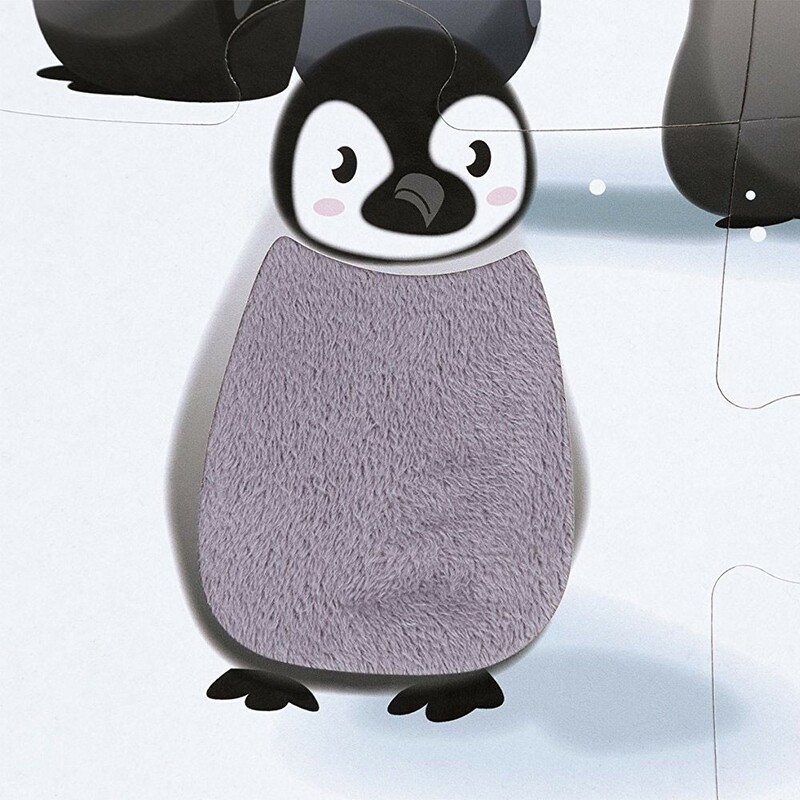 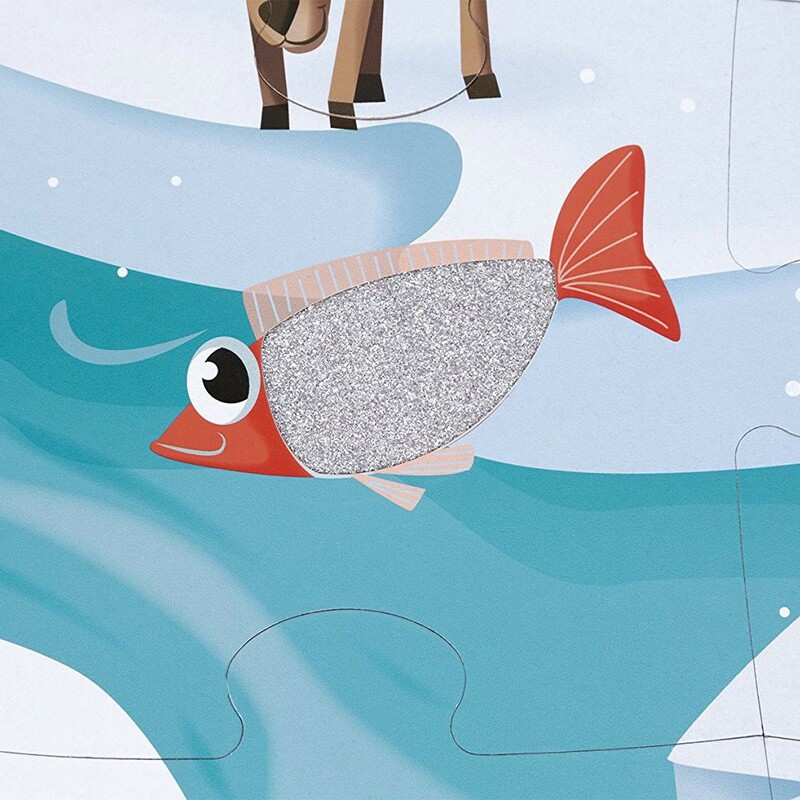 Touch a plush penguin, scaly salmon, fluffy polar bear, slippery whale, furry reindeer and more with this artistically illustrated kids puzzle. 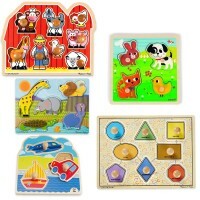 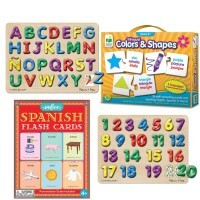 This new puzzle addition to Educational Toys Planet's collection features 7 textured pieces that offer tactile fun for the little hands. 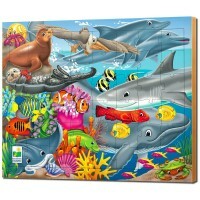 Assembled puzzle is 25.5 x 19.5 inches. 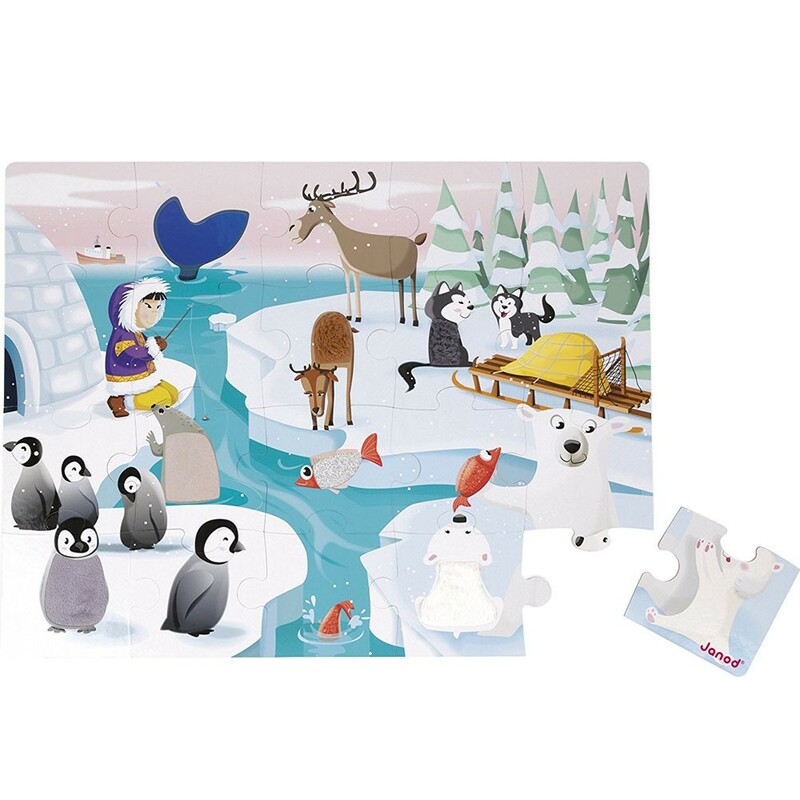 Dimensions of package 19.69" x 25.59" x 0.12"
Write your own review of Life on the Ice 20 pc Tactile Puzzle.